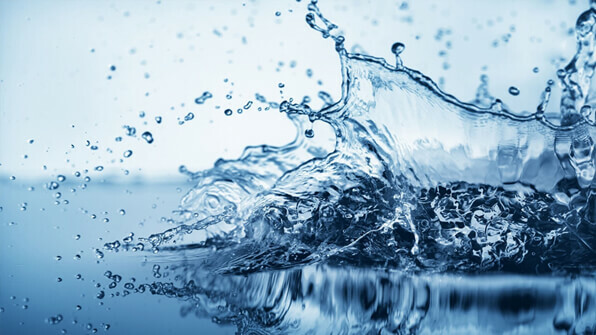 The water industry provides drinking water and wastewater services (including sewage treatment) to residential, commercial, and industrial sectors of the economy. Typically public utilities operate water supply networks. Petrosadid with its wide expertise in the field of water industry can provide all requirements of Iranian water industry and utility units of all other plants from oil, gas and petrochemical to steel and cement industries. Seawater accounts for 97% of the water on earth. Since almost 60% of the world's population lives less than 60 km from a coastal line, seawater is poised to become one of the main alternative resources in those regions in the next several decades. Desalination using seawater reverse osmosis (SWRO) has become a viable option for development of new regional water supplies. The importance of water treatment is to make the water appropriate for further utilization. Water treatment is required to increase the efficiency and life expectancy of the equipment by minimizing fouling, scaling and generally number of suspended solids. Being conservative with water makes good sense, and appropriate treatment of wastewater, especially to transfer it for reuse, is now seen to be essential to the protection of the world's fresh water resources; and of economic sense in the business world. Petrosadid provide a combination of mechanical, biological and chemical processes used to remove particles and suspended solids, organic pollution and nutrients from wastewater, together with sludge treatment which can become a source of energy via anaerobic digestion, or stabilized before disposal.